Tough training in the school of life experience, otherwise known as Hurricane Katrina, has prepared Hall Piano Company to assist families with assessments, insurance claim guidance and repairs for those with pianos who are currently recovering from the unprecedented flooding across I-12 from Baton Rouge to Hammond, Louisiana. From minor repairs to complete restoration, insurance evaluations, removal and disposal, relocation, storage and replacement, Hall Piano Company offers an array of options with special financing opportunities to help until insurance claims can be settled for both existing and new customers. As has been their tradition since 1958, they offer Louisiana’s largest selection of pianos from the finest manufacturers along with the world-class follow up service that the community has come to expect. Their team is committed to fulfilling the restoration and replacement needs of the impacted community. 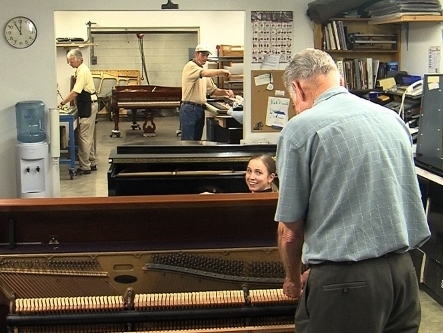 Since 1958 Hall Piano Company has served families across South Louisiana and Mississippi. As Louisiana’s Premier Steinway & Sons dealer, services include piano rentals and sales, acoustic and digital piano sales, piano lessons and method books. For additional information about recovery services, contact Emily McWilliams at emilym(at)hallpiano(dot)com or call 504.733.TUNE.